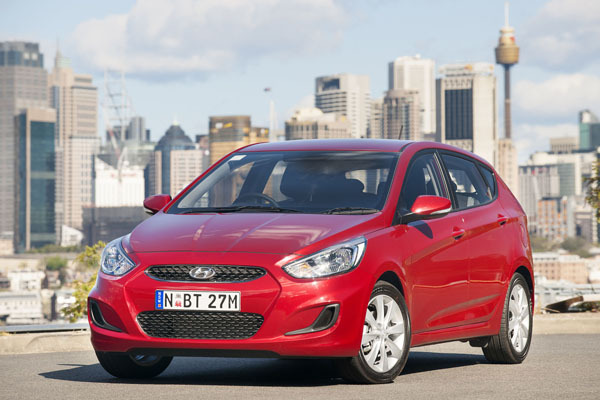 Hyundai Accent has been on sale in Australia since June 2000 and has been a steady seller due to continuous improvements in build quality and, just as importantly, Australia developed suspension tuning. In this review we will look at Accents sold here from the new model of June 2006. By this time the localisation of the Accent was under way; it reached full strength with the next series that first arrived arrived here in July 2011. Accent is solidly built and older ones that have been looked after properly are worth considering if your budget is tight. But make sure to have a professional inspection and, ideally, be able to do a fair bit of your own repair work. There’s good interior room in this small-medium South Korean and buyers with pre-teen children can easily use the Accent as a family car. The boot is roomy and easy to use and has a good shape that’s simple to load. Hyundai Accent are sold in hatchback and sedan format, with the sedan having an impressively large boot for car in this class. Power comes from a naturally-aspirated petrol engine of 1.4, 1.5 or 1.6 litres, with the 1.6 being offered in two stages of tune, with a more powerful unit in the Sport model. There’s also a 1.6-litre turbo-diesel and therefore uses less fuel. This sort of engine has never been popular in small cars in Australia so you may be able to get one for a pretty reasonable price. There’s a mix of automatic transmissions, mostly conventional torque convertor, but there’s a CVT unit in the 1.4 engine to reduce fuel use and emissions. 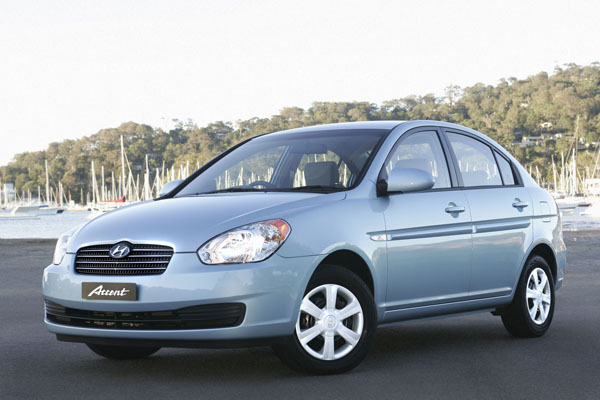 Hyundai is a well established as part of the Australian automotive scene. The dealer network is large and widespread, though as is often the way in a car in this class, representation in the bush can be on the sparse side. We have heard of no real complaints about the cost of servicing or spare parts. The Accent is a simple design and has good underbonnet space, so it’s quite easy to work on. A lot of routine stuff can be done by a good home handyperson. But always leave safety related items to the professional. Having a workshop manual on hand is always a smart move. Insurance charges are moderate and there doesn’t appear to be a great deal of difference between companies as to the premiums they charge. Shop around but, as always, make sure you are doing a full apples-with-apples comparison before making your final choice. Accents generally hold up well on rough Australian roads, but listen for squeaks and rattles, particularly inside the cabin during your test drive. Quite a few Accents will have been sold in country areas as they have a reputation of being tough little machines. Look over the interior, including the boot, for signs of rough usage. Do an engine check for easy starting and smooth idling. Where possible this should be done with the engine cold, preferably after it has been sitting overnight. Turn the steering wheel all the way from one side to the other whilst travelling at a very low speed and listen for clunking noises near the front wheels. These probably mean the universal joints are worn. Not an expensive job. Feel for a manual gearbox that baulks during fast gearchanges, especially during the three-two downchange. An automatic transmission that holds onto gears to long, or skips up and down unnecessarily may be due for an overhaul. If in doubt, get a quote before settling on purchase as it could make a big hole in your budget. Any cars we have seen with rust in their bodies have been poorly repaired after crashes. 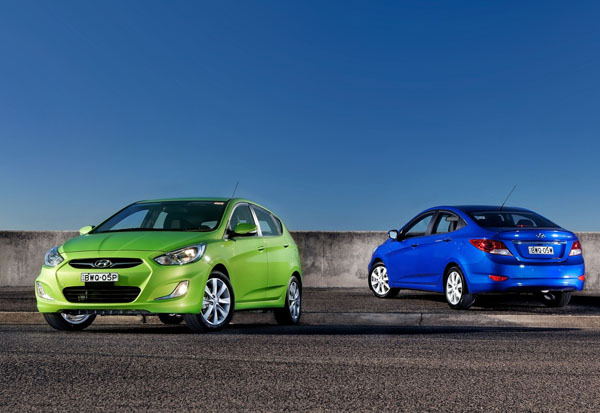 Expect to pay from $2000 to $4000 for a 2007 Hyundai Accent; $4000 to $7000 for a 2011 Active; $6000 to $10,000 for a 2011 Premium or a 2013 Elite; $7000 to $11,000 for a 2017 Active; $8000 to $12,000 for a 2013 Premium; and $9000 to $14,000 for a 2017 Accent. Fallen in love with the first car you looked at? OK, you might well have found the perfect one – but it’s still wise to shop around a bit more.